Fallow deer rest in the shadows of a bluebell wood. 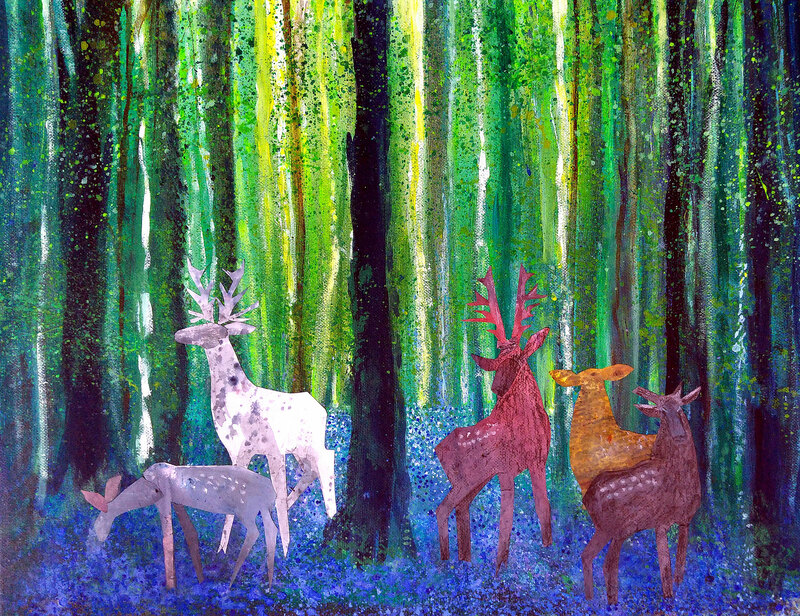 This picture started out as a bluebell wood in acrylics on canvas, but ended up as a mixed media piece when I decided it needed some woodland critters made from monoprinted paper cutouts. Unframed canvas.